No child room can be complete without a colourful mobile slowly swirling with a gentle breeze, giving off a tinkling bell sound and sending your child off happily on its journey to dreamland. 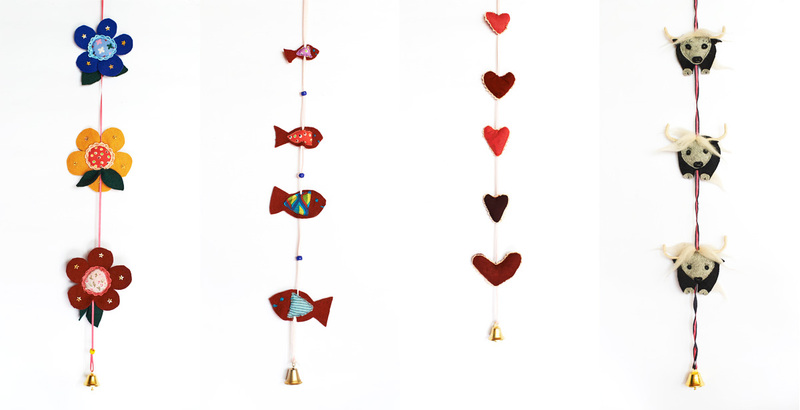 These mobiles are made from felt and our tailors material cut offs, thus part of our ambition not to create any wastage. Please note: While maintaining a distinct style, due to its handcrafted nature, each product will vary slightly and fabrics used are frequently changed.